Promontorium Fresnel (Latin for "Cape Fresnel") is a headland on the near side of the Moon. 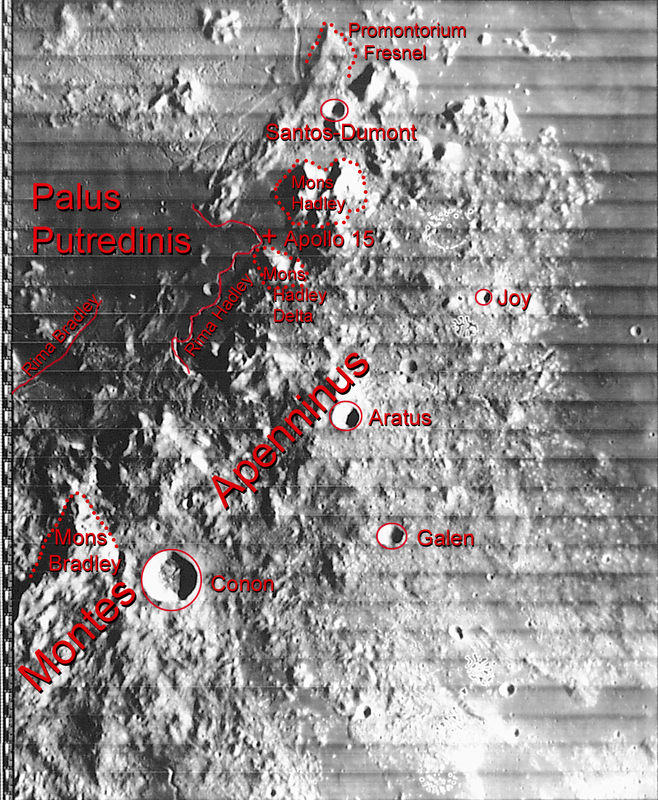 It is located at the northern end of the Montes Apenninus and separates the lunar mares of Mare Serenitatis and Mare Imbrium. Just west of the mountainous cape is Rimae Fresnel. Both features were named after the French physicist Augustin-Jean Fresnel. Its coordinates are 28°38′N 4°45′E﻿ / ﻿28.63°N 4.75°E﻿ / 28.63; 4.75. ^ "Promontorium Fresnel". Gazetteer of Planetary Nomenclature. USGS Astrogeology Research Program. Wikimedia Commons has media related to Promontorium Fresnel. Wood, Chuck (May 4, 2013). "Topographic Revelations". Lunar Photo of the Day. Retrieved August 16, 2017.